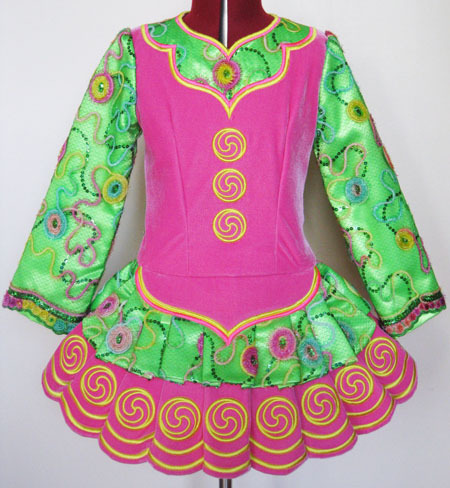 Centre front neck to dropped waist: 12½"
Total back length (top of zipper to hem): 25½"
Candy pink velvet bodice and lower scalloped ruffle. 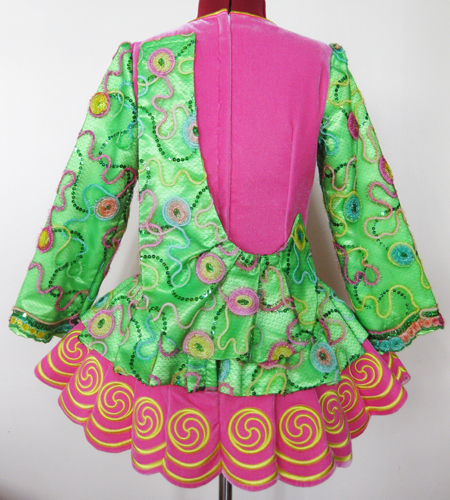 Lime green sequin lace with candy pink and lemon squiggle highlights on sleeves, bodice yoke, top ruffle and shawl. 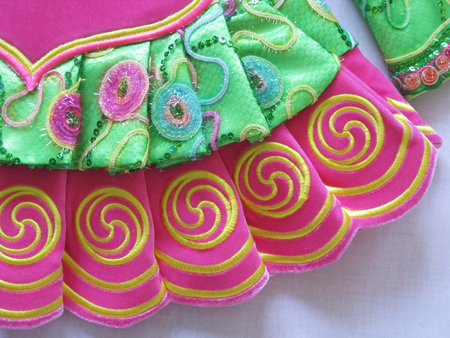 Bright lemon embroidery on candy pink velvet. Pink and white polka dot skirt lining.